(*) Flew most of their missions as members of the Rogan Crew (Through 12 August 43) and then with the Gamble Crew. Flew several of their last missions as members of Lead Crews. 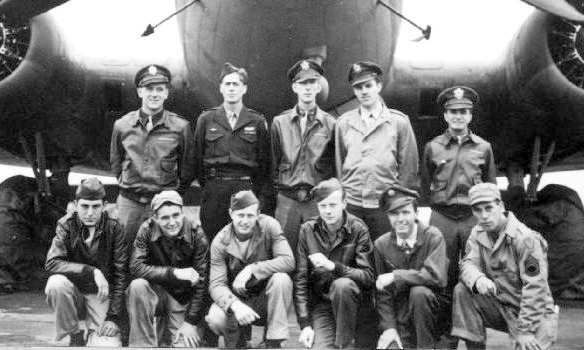 Note: Same photo appears with 358th BS Rogan Crew.